It is a member of the ACE Group, which is a global provider of insurance and reinsurance. Enter your zip code in the box above to find out the health insurance rates for policies in your area. Combined Insurance was founded by W. Clement Stone in 1922. Stone was one of the early self-help gurus and originator of the “Positive Mental Attitude” idea. He began the company with just $100 and grew it into a successful and thriving business. In 1959, the company expanded into Australia, and it currently sells its products in 11 countries, including the United States. Combined became a part of the ACE Group in 2008. 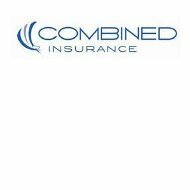 Combined’s Income Protector disability insurance covers a policyholder for up to two years, when they are unable to perform the duties of their job, whether or not the injury or illness happened while you were working at your job. It works in conjunction with any Social Security or workers compensation reimbursement. Combined Insurance’s life insurance plan is called the Family Life Protector, and it is available as a whole or term life policy. It also has options such as an accidental death benefit, which will double the face value of your supplemental life policy if you die in an accident, and a living benefit, which will pay your insurance benefit while you’re alive should you or a covered family member be diagnosed with a terminal disease. Combined’s supplemental health insurance is available in two options: Critical Care Protector and Cancer Care Protector. Both are self-explanatory. These supplemental health plans protect you in the event of a major health event such as cancer, stroke, or heart attack. These help handle the burden of daily expenses that could bankrupt you if you lack coverage. Combined Insurance prides itself on superior customer service and making the world a better place, one customer at a time. It strives to educate consumers about supplemental insurance, and sell them only the coverage that they need for themselves and their families. The company’s website has an entire page dedicated to educating people about supplemental insurance, including answers to Frequently Asked Questions and customer testimonials describing how supplemental insurance helped them. The company’s website also features a downloadable Needs Assessment form, which allows individuals and families to figure out if they have the necessary insurance coverage for their specific needs, or if they need to purchase supplemental insurance. Combined agents also meet with clients one-on-one to determine whether they need coverage, and work with them to recommend the perfect fit for their situation. All job openings, along with their descriptions and how to apply, are listed on the Combined website. If you are looking for standard health insurance, and not supplemental policies, we can still help! Just type your zip code in the box below and you will see health insurance rates for other providers in your area.